A meaty meatless burger is finally possible. The Impossible Burger is so meaty and realistic that it could convert even the most devout of carnivores. But how do they do it? 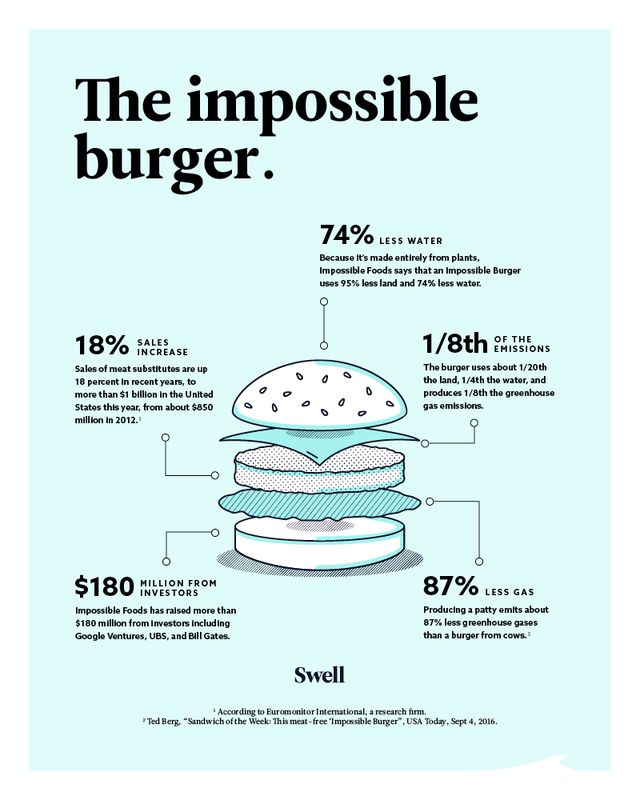 Just wheat, potato, coconut oil and something called heme – a molecule found in animal hemoglobin and in some plants as well – give the Impossible Burger its meaty flavor, aroma, and juiciness. It even bleeds! Check out Impossible Foods on Facebook, Twitter, and Instagram. Adding women and minorities is a smart move. Read how success follows when a company adds diversity to its roster..